The FINN® is a compact and durable LED sensor that is able to fit in just about any test setup. 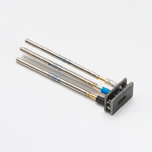 There are two different configurations to accommodate your set up needs - right angle and vertical styles. 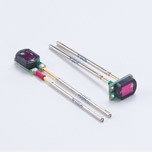 The FINN® is color specific, including infrared, so pick your style and match to the color of the LED you want to test. The FINN® color sensor does not require power and is simple to use. When placed in front of an illuminated LED of the corresponding color, the FINN® sends a signal through the probe to your test equipment, indicating color and brightness. 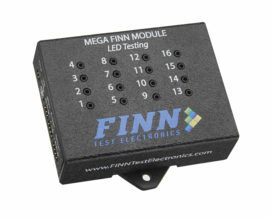 Your LED tester using the FINN® is simple to maintain because you control the limits of this Go/No-Go test. 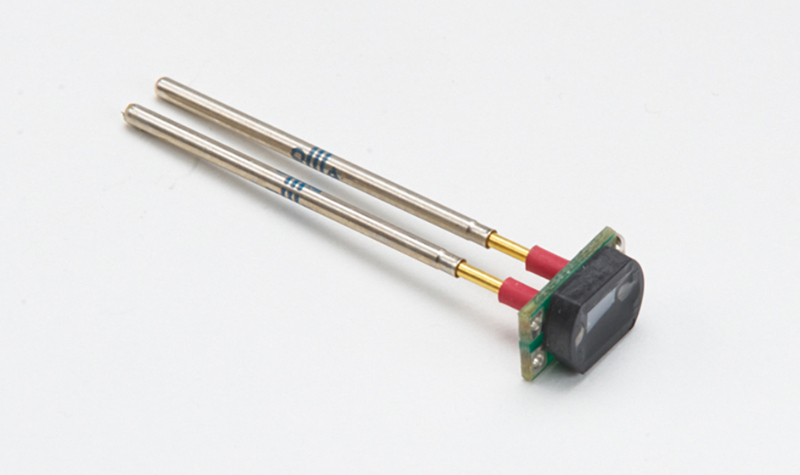 The FINN® is a combination of a photosensitive semiconductor and an optical filter. 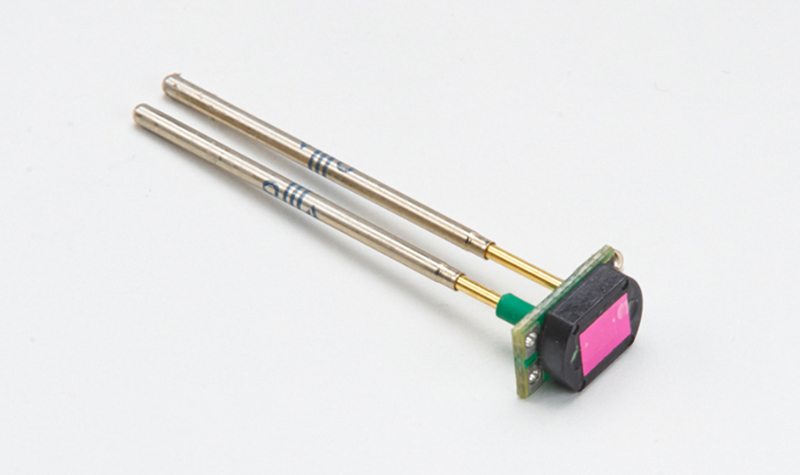 The filter is designed to pass light from the target wavelength (color) and block the light of wavelengths outside that target color. 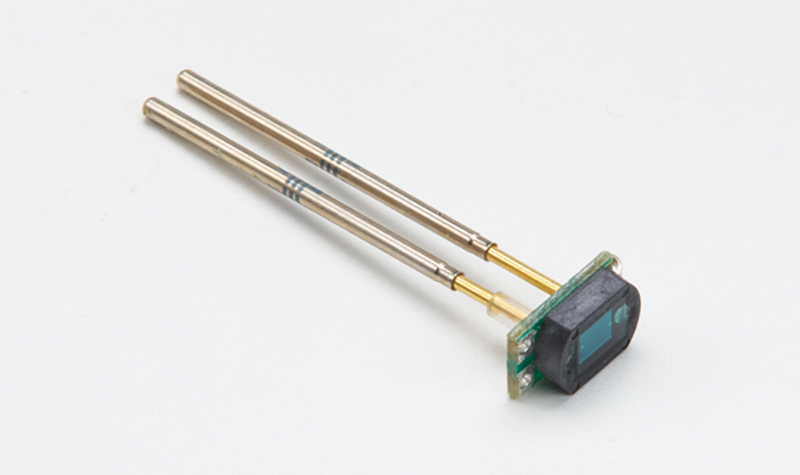 The sensor produces current when excited by the target wavelength of light and creates a voltage across the bias resistor which is then measured by the target test system. 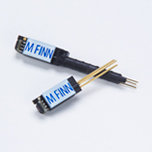 The FINN® is adaptable to any test platform and is great for both functional and In-Circuit Test fixtures. Use the Right Angle Configuration for SMT LEDs which lay flat on the pcb. 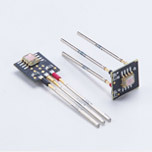 Use the Vertical Configuration for LEDs placed on the edge of the board. 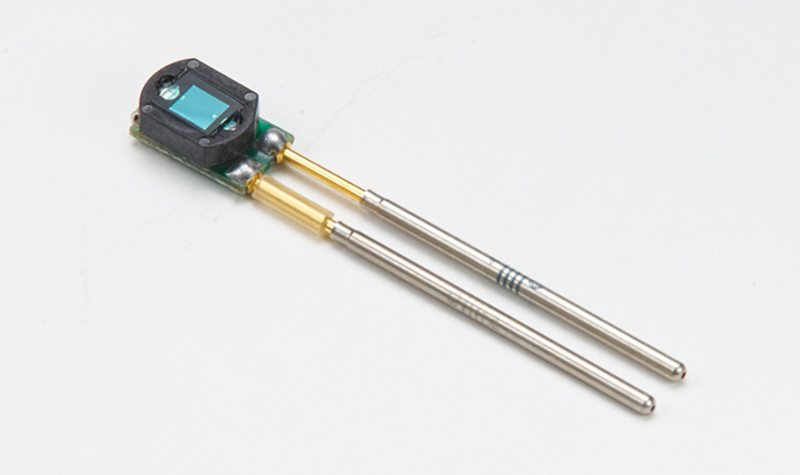 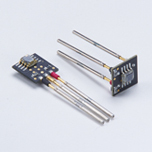 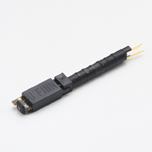 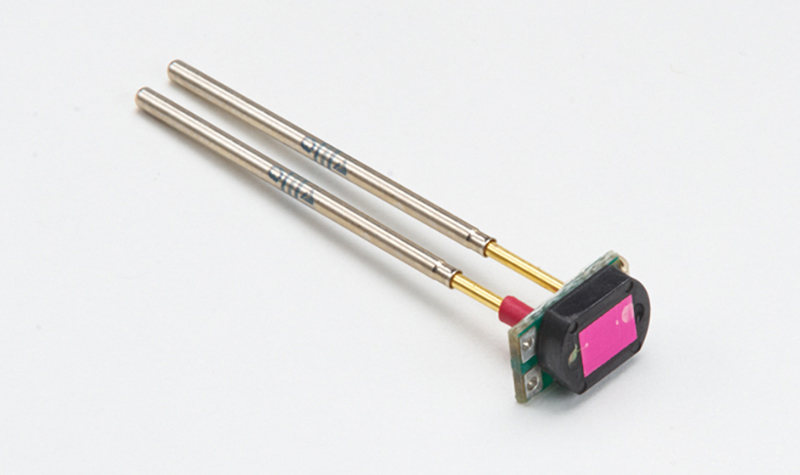 Clearance for sensor dimensions-0.25" x 0.40" X 0.15"
The FINN® is color-specific. 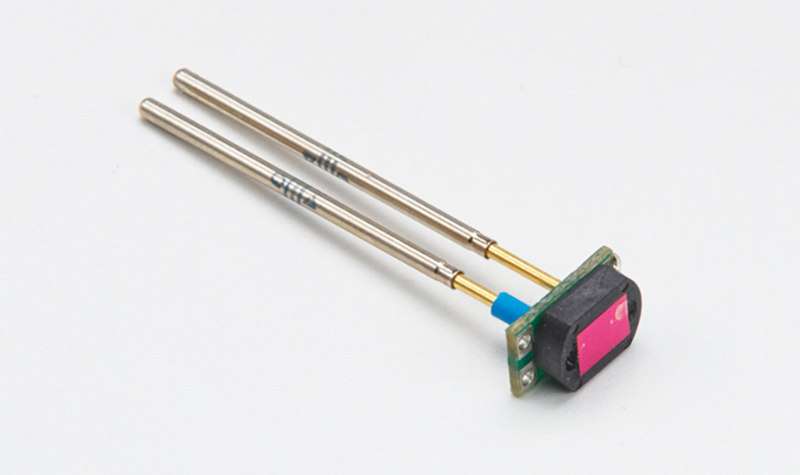 Example: Order a red FINN® (TC3001) for a red LED.